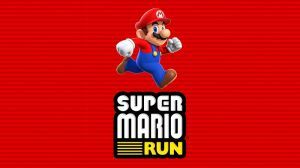 Super Mario Run is Nintendo's take on making an endless runner / platform game out of their most popular game of all time. Super Mario Run also serves as Nintendo’s first take on the most prolific handheld device today: the mobile phone. In this game, Mario must once again face Bowser and his nasty troops to save the beautiful Princess Peach and restore peace and order in the Toad Kingdom.. To do that, Mario must traverse different worlds with out-of-this-world flips, crazy jumps, and gravity-defying glides. World 3-4: Fire Bar Castle! Youch! No discussions open for Super Mario Run at the moment.